Cebu Is a Beauty | A Cebuana Lifestyle Blog: Bring It On, Rain! It's one hell of an expensive day when my prayers for not to be caught in rain go unanswered. I don't even want to mention the times I chose to get stranded rather than tread through the city's murky flood. Ohmygehd! The horror! And how about the threat to my perfectly drawn eyebrows? Obviously I am not a fan of the wet season. However, a girl has got to go out, go to school, high five the boys, sneer at fellow girls and gossip some more a.k.a live life in general. 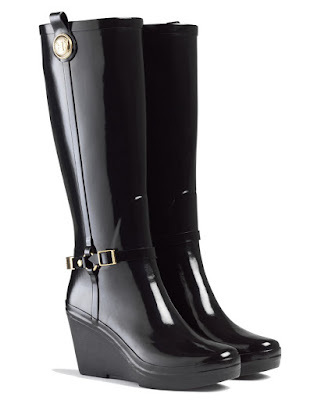 Could Wellington boots a.k.a wellies be the answer to my prayers? The western world, with their four seasons, is not alien to this apparel. In fact it seems to me that rain boots are part of their wardrobe staples akin to sweatshirts or blue jeans. One of my vivid childhood memories is a scene of an adorable old lady doing her usual rounds of feeding a badelynge of ducks. Not exactly a charming picture when quacking ducks and a pail of poultry feeds are in the scene, but I must admit the rubber boots made quite an impression to me. I have not seen anyone my age wearing this very functional foot wear. I don't understand why, despite the fact of flood being everywhere these days, no one seem to dare and try them on. Would you rather be carried by sweaty men for a service fee of, how much is it now? Ten pesos? Is that your interpretation of being "swept off your feet"? I will unfriend you! hahahaha! 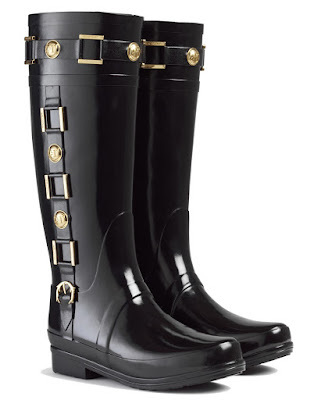 If you know where I could invest on a pretty and trust worthy pair of wellies here in the Philippines, I am all ears!